Judith here… the celestial team standing back (in a circle right behind me, rather) as I spontaneously begin to type this message. I don’t even know exactly what it IS yet, except that it’s about becoming a butterfy. The reason I won’t know what the message is until I let it come through me is because the aspects of me that are in each of the collectives of the celestial team are PART of me. Oh, I get it… that’s also a big part of what this message is about! BRAIDING, the term that used to mean reaching up OUTSIDE of oneself to interweave one’s frequencies with frequencies from a “higher dimension” will not serve you anymore. NOW, the braiding occurs WITHIN yourself. And that’s where the butterfly metaphor comes in. Butterflies are the only creatures on this planet (until NOW) who undergo complete transformation — meaning within their very DNA. NOW, we are undergoing the same radical metamorphosis. And that is why the celestial team is gathered round to listen (even the Frequency Technicians, lol). WE are quite the cutting-edge beings of an entirely NEW technology, and they are fascinated! Get the frequencies of the word FASCINATED. There is no worry or anxiety in them. USE the frequencies of FASCINATED as your own. 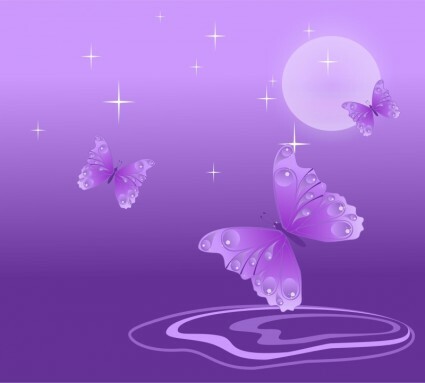 FEEL yourself as a butterfly still emerging from the cocoon– the dark void of our recent full moon/full lunar eclipse. As a butterfly who has never BEEN a butterfy before, you break through the membranes of the cocoon. YOU are the one who wove the cocoon from your very being. You did not know why… you simply followed your own divine blueprint. NOW, you emerge, your wings still damp with placenta… and you do not even know they are wings, yet, or what “flying” is. THAT is the stage we are in NOW. Do NOT rush it. You don’t even know what you ARE yet. A caterpillar cannot know butterfly-ness until he/she experiences BEing a butterfy. A caterpillar does know the folly of rushing the process of transitioning into what he/she doesn’t even KNOW yet. Have no doubt that the caterpillar/butterfies are our wise elders in this moment. Follow their wisdom, then, and REST in FASCINATION. That is the message. It is DONE… do not rush your delicious process of orientation. To all who receive the energy offered in this message and acknowledges your receiving with a reciprocal offering of ANY amount by pressing the “Donate” tab in the right sidebar… WE thank You. YOU make it possible to continue the flow of these offerings. You also amplify all You receive from them. “Reciprocity” to what one values is how energy gains momentum in this universe, and so returns it exponentially. Copyright(c)2015, Judith Dagley-All Rights Reserved. You may copy and redistribute this material on free websites only as long as you do not alter it in any way, the content remains complete, and you include this copyright notice link: http://www.thecelestialteam.com.